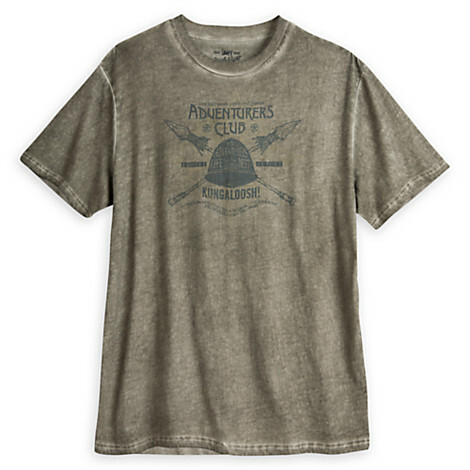 For all you Adventurers out there who pine for the bygone days of The Best Club in Pleasure Island, well, there’s a t-shirt. Grab your glass and hoist it high and give a toast to the Adventurers Club, may she rest eternal. Until next time, Adventurers! Happy Hoopla! Check out some of our other Favorite Disney Tees in our Gift Guide! I really want to buy up a bunch of these for the guys who attend my 20th anniversary party, but that’s 3 years. Just a little pre-planning! I want a pith helmet.